The letters Gillian Griffith wrote to her elderly, demented mother were never intended to be read – they were simply Gillian’s way of dealing with her own anger and guilt towards her high-handed, infuriating and impossibly challenging mother. To Gillian’s own surprise, “as the words bounced back at me off the page, magic happened”. The letters began to morph into a book, and the writing of it gradually released Gillian from her mother’s influence. The result is a powerful, touching, uplifting and often very funny account of one woman’s emotional and practical battle with the chaos caused by dementia. 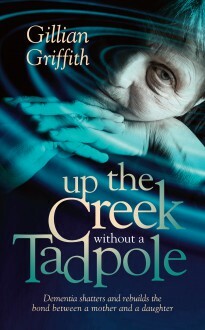 This book (the title comes from a small piece of nonsense spoken by Gillian’s mother) brings a new insight into the effects of dementia on those caught up in it. It will make a valuable and original contribution to the debate on dementia care.